Dr. Lei Zhang is Herbert Rabin Distinguished Professor in the Department of Civil and Environmental Engineering at the University of Maryland and director of the Maryland Transportation Institute. With 16 years of professional experience, Zhang has published more than 200 peer-reviewed journal and conference papers on topics including large-scale transportation systems modeling and simulation, travel behavior, sustainability solutions. He has led more than 50 research projects, including two major projects that uses and improves the EconWorks tool, and received $24.6 million in external funding support from the National Science Foundation, U.S. Department of Transportation, U.S. Department of Energy, Federal Highway Administration, Strategic Highway Research Program, National Cooperative Highway Research Program, and other federal and state agencies and private foundations. 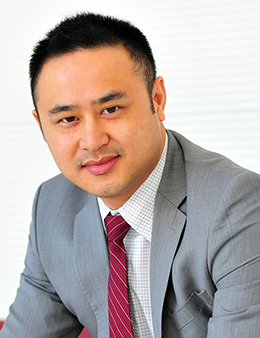 Zhang has served in leadership roles at many conferences, expert panels, editorial boards, and professional societies. He is the recipient of the prestigious National Science Foundation CAREER Award, the Transportation Research Board Fred Burggraf Award, U.S. Department of State APEC Science Prize, and six international best paper awards. He received his B.S. in civil engineering from Tsinghua University and holds M.S. degrees in civil engineering and applied economics, as well as a Ph.D. in transportation engineering from the University of Minnesota.